On November 9-10, 2007 Anne Arundel Community College will hosted the Fall 2007 MD-DC-VA Sectional Meeting of the MAA. John Swallow gave a workshop entitled Teaching a Galois theory for undergraduates. Phyllis and Victor Katz presented a mid-banquet slide show entitled Breathing Euler's Air: The excitement of exploring Leonhard Euler's life and work on the MAA's 2007 Tour Commemorating his 300th birthday. Ed Sandifer presented the banquet sddress, Five Pearls of Euler. Our pre-lunch Saturday speaker is William Dunham who persented An Euler Trifecta and our post-lunch Saturday speaker was Ron Calinger who persented Leonard Euler: The Second St. Petersburg Period. Workshop: Teaching a Galois theory for undergraduates. Abstract: Participants explore Galois theory from an undergraduate perspective, gaining materials and technological tools for use teaching an undergraduate course. The course outlines the theory from a concrete, computational point of view, assuming only one semester of abstract algebra. The course also introduces AlgFields: a package for use with Maple or Mathematica, facilitating computation in number fields. No prior experience with Mathematica or Maple is required. Biographical Sketch: John Swallow was tripped up by Galois theory as a graduate student. He's loved doing it, teaching it, and writing about it ever since, and he is particularly grateful to have been awarded an NSF-RUI grant to support all three. The author of Exploratory Galois Theory (Cambridge, 2004), he has enjoyed writing research articles as well as pieces for the Bulletin, the Monthly, the Notices, and the American Scholar. John teaches at Davidson College as Kimbrough Professor of Mathematics and Humanities. Mid-Banquet Slide Show: Breathing Euler's Air: The excitement of exploring Leonhard Euler's life and work on the MAA's 2007 Tour Commemorating his 300th birthday. 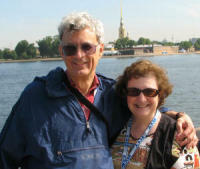 Abstract: Victor and Phyllis Katz will share a few of the photographs from this summer's tour as they integrate the potential for using travel photography in the teaching of mathematics. Photos include Euler's surroundings, explorations of his papers, and anecdotes learned about his life. A website is in the works for a more extensive resource with many more photos and learning opportunities. Biographical Sketch: In 1980, Phyllis Katz developed what was to become the national afterschool science program, Hands On Science Outreach. She served as its Executive Director for over two decades, when she became its Director of Research and Evaluation, after completing her doctorate in Science Education at the University of Maryland. She retired from HOSO in 2005. She has written science books for children and articles for adults on science teaching and learning. Phyllis is currently serving on the National Science Teachers Association Committee on Informal Science. She has presented at many conferences and remains active in creating materials and promoting science and mathematics for children, parents and other adults in, and mostly out of, schools. In recent years, she has been interested in images, both drawings and photographs, as engaging ways of stimulating science and mathematics participation as well as interpreting visual data. She and her husband Victor have raised three children. Now married and beginning families of their own, the children are producing the next generation of fascinating conversations and games. Phyllis and Victor are enjoying the challenge of talking about why "0" isn't the smallest number and evergreens are sometimes blue. Victor J. Katz received his Ph.D. in mathematics from Brandeis University in 1968 and was for many years Professor of Mathematics at the University of the District of Columbia. He retired in 2005. He has long been interested in the history of mathematics and, in particular, in its use in teaching. His well-regarded textbook, A History of Mathematics: An Introduction, won the Watson Davis Prize of the History of Science Society in 1995, a prize awarded annually to the best book on the history of science aimed at undergraduates. A brief version of this text appeared in 2003. 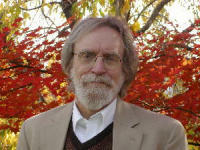 Professor Katz has published many articles on the history of mathematics and its use in teaching, has organized sessions in these topics at numerous meetings of the Mathematical Association of America and the National Council of Teachers of Mathematics, and has edited three books for the MAA on this subject. He has directed two NSF-sponsored projects that helped college teachers learn the history of mathematics and how to use it in teaching and also involved secondary school teachers in writing materials using history in the teaching of various topics in the high school curriculum. These materials, Historical Modules for the Teaching and Learning of Mathematics, have been published on a CD by the MAA. Currently, Professor Katz is the PI on an NSF grant to the MAA supporting the development of the online magazine Convergence: Where Mathematics, History and Teaching Interact. He is also the editor of a new book, The Mathematics of Egypt, Mesopotamia, China, India and Islam: A Sourcebook. Abstract: Euler's five best results, as chosen by participants in an MAA Short Course at the Joint Mathematics Meetings in New Orleans in January, and what's wrong with them. 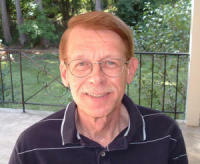 Biographical Sketch: Ed Sandifer is Professor of Mathematics at Western Connecticut State University in Danbury, CT. He is an avid marathon runner, with 35 Boston Marathons on his shoes, and he is Secretary of The Euler Society (www.EulerSociety.org). After earning his doctorate at the University of Massachusetts, he gave up a career in invariant theory to pursue the history of mathematics, learning the subject at the feet of luminaries like Ron Calinger, Victor Katz, Fred Rickey and Bill Dunham. His new book, How Euler Did It, based on his monthly column on MAAOnline, was published by the MAA in July 2006, as part of the Tercentennial Euler Celebrations. Abstract: To recognize Leonhard Euler's 300th birthday, we consider three ingenious results from this great mathematician. First, we see a bit of Euler s number theory with his explanation of how to generate amicable numbers by the bus load. Next, we get a glimpse of Euler s calculus as we watch him evaluate a definite integral that no one would dare to touch in Calc II. Finally, we observe Euler examining complex variables with an unorthodox proof of his famous identity. Taken together, these examples remind us why it is so fitting that we celebrate his birthday in 2007. Biographical Sketch: William Dunham, who received his B.S. (1969) from the University of Pittsburgh and his M.S. (1970) and Ph.D. (1974) from Ohio State, is the Truman Koehler Professor of Mathematics at Muhlenberg College. In the 1990s, Dunham wrote three books on mathematics and its history Journey Through Genius (1990), The Mathematical Universe (1994), and Euler: The Master of Us All (1999). Since then, he has written The Calculus Gallery (2005) and edited The Genius of Euler (2007). His expository writing has been recognized by the MAA with the George P lya Award in 1992, the Trevor Evans Award in 1997, and the Lester R. Ford Award in 2006, and the Association of American Publishers designated The Mathematical Universe as the Best Mathematics Book of 1994. Abstract: This paper examines Euler's second St. Petersburg period from 1766 to his death in 1783. It begins with Catherine the Great's reception for him and his efforts to improve the Russian Imperial Academy. Working with eight able assistants, he completed 415 articles, 300 of which appeared posthumously. This paper briefly reviews his research on dioptrics, the transit of Venus, geometry, magic squares, integral calculus, and algebra. It continues with his Letters to a German Princess and his third lunar theory. The great fire that destroyed his house, his cataract operation and near blindness, the death of his first wife, and his second marriage are next. This paper notes the French editions of his books on naval science and gunnery before ending with his experience with Princess Catherine Dashkova, his death, and the Fuss eulogy. Biographical Sketch: Ronald Calinger is a professor of history at the Catholic University of America in Washington, D. C. He received his doctorate in the history of science from the University of Chicago in 1971. 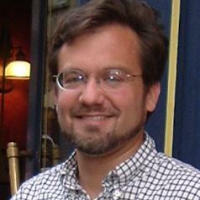 In 2007 he was a Dibner Fellow at the Smithsonian Libraries. He is the author of A Contextual History of Mathematics,1999, and the editor of Classics of Mathematics, 1995, and Vita Mathematica, 1996. His two most recent articles appear in the Elsevier Euler Tercentenary Volume, 2007, edited by Robert Bradley and Edward Sandifer. Dr. Calinger received the Austrian Cross for Science and Arts, First Class, in 1996 and the Darrin Teacher of the Year Award at Catholic University in 2005. He was invited to give a series of lectures on Imperial Austrian History by the Smithsonian Associates during the Mozart 250th Year Celebrations in 2006 and was invited by the Russian Academy of Sciences to present a paper at the Euler 2007 Jubilee in St. Petersburg, Russia.